Caracas - An Indonesian citizen in Venezuela who had experienced hyperinflation, said he had to spend 1.7 billion bolivars to eat in a restaurant. 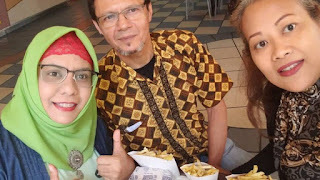 Tri Astuti, the executive of the Indonesian embassy's economic function in Caracas, said that a joint meal of around 20 people with an "ordinary lunch menu" was forced to be paid through additional bank transfers because there were insufficient funds. "When we paid the price of 1.7 billion (bolivar) and in our account there was only one billion, so the restaurant gave an account number to transfer. So the principle of trust is only, because internet banking is busy, many people are transferring," Tri Astuti said about the event was held on August 14th. He told the lunch with a dish of potatoes, shellfish, fish, and chicken that usually reached around 500 million at the beginning of the year with the same number of people. 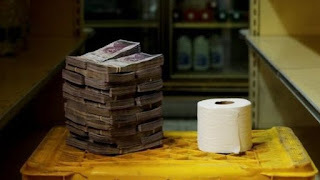 The Venezuelan government issued a new paper currency Monday (08/20) following hyperinflation. Thousands of shops closed Tuesday (08/21) for adjustments to the new currency. With this new currency, the price of a cup of coffee for example, which previously cost 2.5 million bolivars in the capital city of Caracas last month, now costs 25 bolivars. However, a number of residents in Caracas told the BBC that withdrawals were limited to only 10 bolivars on Tuesday (08/21). To avoid carrying pocket money, more and more Venezuelans are transferring money for small transactions even in the midst of skyrocketing prices. As BBC reporters for the United States in Caracas witnessed, restaurant guards provided bank details and entrusted customers to transfer money. The collapse of the Venezuelan economy was marked by, among other things, hyperinflation, power outages, lack of food and medical supplies. This situation caused millions of Venezuelans to leave the oil-rich country. According to data from the United Nations, 2.3 million Venezuelans left the country since 2014 when the economic crisis began to bite. Many blamed Maduro's President Nicols and his government for the country's bleak situation. Tri Astuti from the Indonesian Embassy in Venezuela said "hyperinflation was felt by mid 2018." Even in traditional markets, transactions are also through transfers because the price of vegetables is 30 million bolivars and fish is around 40 million bolivars. After the change of new currency, lunch at fast food outlets which is usually around 65 million bolivars, Wednesday (08/23) becomes 625 bolivars.